Boffa Miskell has been involved in the planning and design of Pegasus since 1997. We contributed to the early site survey and feasibility studies and was responsible for the preliminary site planning. Our multi-disciplinary team carried out landscape and ecological assessments of effects, managed the community impact assessment and planned the rehabilitation of a 90ha wetland which is to be an integral part of the township’s amenity attributes. We managed the resource consent application process, co-ordinating the input of a large team of specialists. Planning approval was gained in 2002 and refinement of the master plan followed. 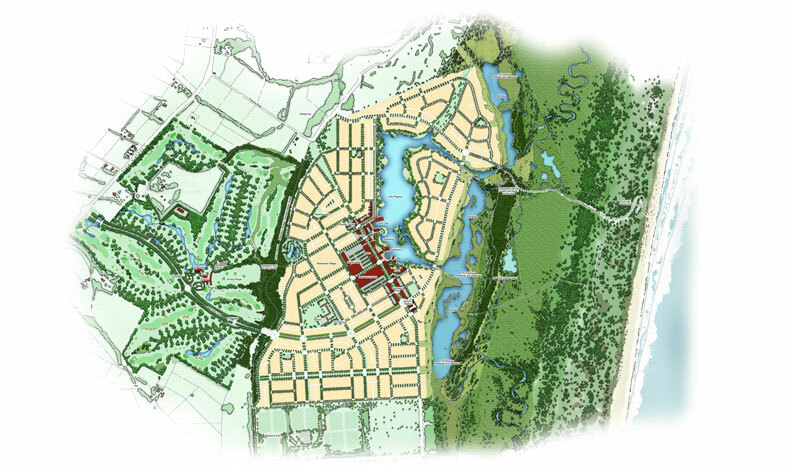 Since 2004, we have been part of the core team that has been refining the master plan, public realm design and ecological restoration design; preparing the contract documentation; and observing the contract implementation. 18-hole golf course and 98 rural residential lifestyle blocks. Construction began in late 2006. Master planning, statutory planning/district plan change application, expert witness evidence, landscape design, urban design, ecological and landscape assessment, golf course design and ecological restoration advice.